The GBC Magcut has been designed to be used for parallel, vertical and downhill cutting. The robust aluminium body construction makes this machine both durable and easy to operate. 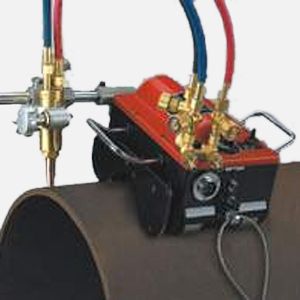 The magnetic absorb-ability force is over 50 KG assurring firm pipe attachment. An optional steel guide belt ensures square cuts on diameters above 600mm.